2005-2006: Although it existed for some time, image stabilisation became all the rage, and everyone had to have it. Now widely available across multiple manufacturers. Very useful, too! 2007: Automatic face detection hit the market. This is actually a very impressive technical feat, and useful for happy snappy auto-mode cameras, but not a big deal for people who carefully compose their pictures. 2008: High ISO. Every camera now suddenly bragged about ISO 3200. Without better sensors (as is often the case) you just get an incredibly noisy and useless image. No good. 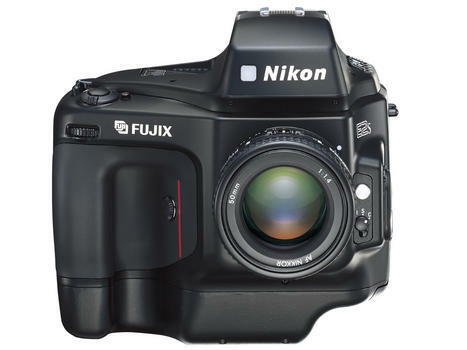 2008: Live view and video recording on digital SLR cameras. Very useful! 2008-2009: Wide angle. Gone are the days of zoom ranges starting at 35mm equivalent. Everyone now wants 28mm or even wider at the wide end. While some lens manufacturers struggle to give good quality at these wide settings it is very useful and nice to have! 2009: Waterproof/rugged: There used to be some cameras like these in the old film days, but now several manufacturers offering models which are 5-10m waterproof and can take a few knocks. Useful for the adventurous. Which ones do you think will make it? What did I miss? To summarise, it seems like the innovation engine of the camera industry is still cranking out new features, despite the economic turmoil. And this is good for us, the consumers. As a good friend pointed out in his blog: “Innovation is hardly ever about coming up with something completely new. That sometimes does happen, but is a fluke”. Most of these “killer features” have existed for some time. Heck, electric cars were already driving around in 1830, yes the eighteen-30s. But it took new technology to make it practical. Things are still changing, and I’m not getting bored yet! Just add an accelerometer to provide an internal reference instead of sticking reference dots all over the scene.